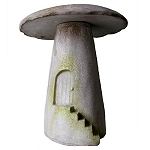 Garden ornaments for outside and yard ornaments. Decorative shape and forms to liven up you Lawn. We have several categories of decorative items for outdoors. 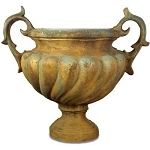 A huge selection of fiberglass planters and urns. As well unique shapes and forms. Like Finials and garden sculptures.